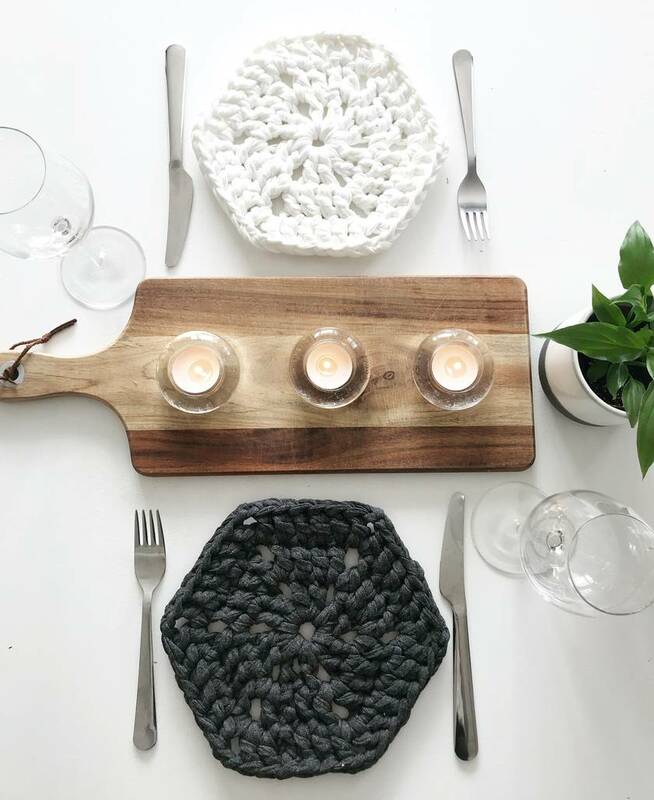 This set of 4 on-trend hex placemats will bring a modern edge to your dining tablescape. In neutral colours of slate, silver, sandy ecru & pearl white, they will suit all modern styles and colour schemes. They would make a great Home warming gift for the Home interiors enthusiast, or treat your own Home to a little modern update. And they match our Hex Coasters....perfect for a coordinated look....check out the listing for those. 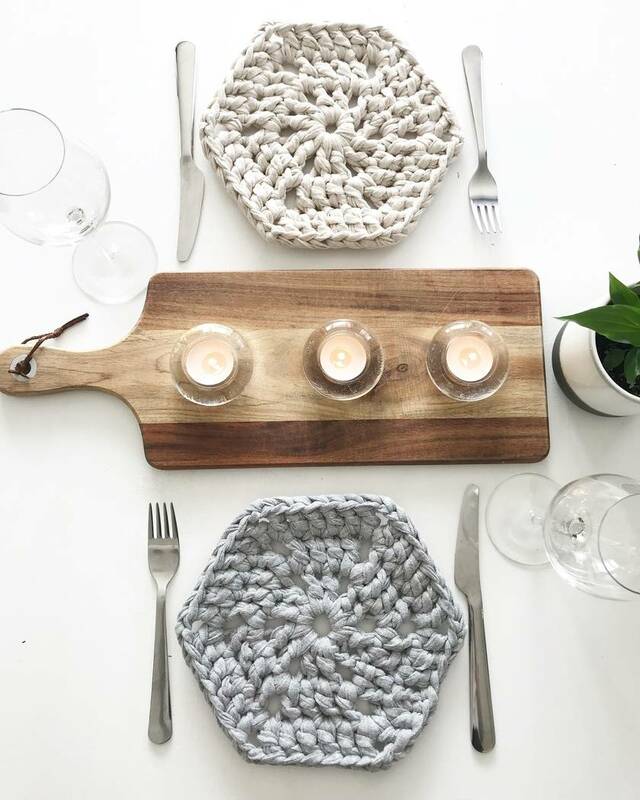 Crocheted using 80% high quality recycled cotton/20% other recycled fibres, these placemats are perfect for the eco-conscious too. 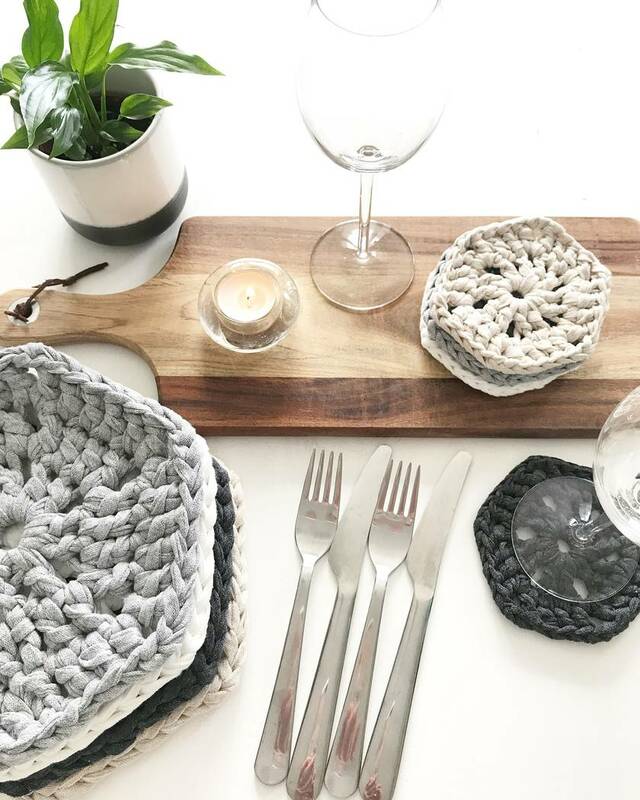 Each placemat measures approx 22cm in diameter. Warm, gentle hand wash, reshape whilst damp & dry flat in shade. Please note: this listing is for x1 set of 4 placemats....all other items in the photos are for display purposes, and are NOT included in the sale. Actual colours may vary. This is due to the fact that every computer screen has a different capability to display colours, and that everyone sees these colours differently. I try to edit my phots to show the products as life-like as possible, but please understand the actual colour may vary slightly from your screen. I cannot guarantee that the colour you see accurately portrays the true colour of the product.